Schools that sign up for LUV’s Global Inventors after-school course receive a complimentary 3D printer – a great way to start building a new Maker Space. In the course, K-9 students learn to harness the power of 3D printing to develop prototype inventions in a real, global context. By partnering with LUV, U.S. schools directly sponsor Global STEAM education in developing countries through its give one, get one classroom model. A portion of the tuition is used to deliver the same class to students at one of LUV’s Global Partner schools, many of whom are living on less than $2 per day. 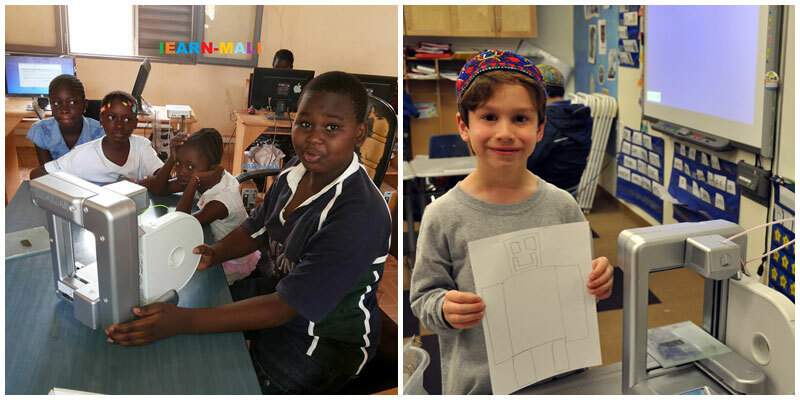 In Global Inventors, students in the U.S. collaborate one-on-one with students at one of LUV’s Global Partner schools to design, print and test solar-powered 3D-printed flashlights for use by Global Partner students, many of whom live in energy-poor areas. They use computer assisted design (CAD) software, master the Engineering Design Process, and learn to apply design thinking to a real-life problem, while gaining significant global perspective. LUV provides Cube® 3D printers to schools through its partnership with 3D Systems. For every four U.S. schools or libraries that sign up for the Global Inventors after-school package, 3D Systems contributes a Cube® 3D printer to a LUV Global Partner school. Information on 3D Systems’ commitment to education can be found at www.3dsystems.com/education.